Animal lovers may be surprised to learn how many famous tourist attractions around the country are pet-friendly. Here are some of the landmarks that welcome pet owners to sightsee and their four-legged friends to sniff around. 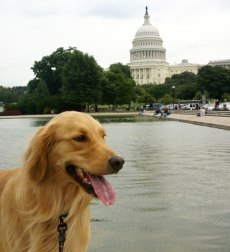 Kizzy, a golden retriever, enjoys the sights in Washington, D.C. The National Mall in the heart of the nation’s capital has lots of outdoor attractions where you dog will be welcome to accompany you as you steep yourself in American history. 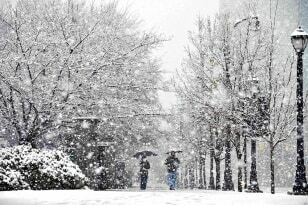 Bounded by the Smithsonian Institute, the Washington Memorial and the Capitol Building, this historical park includes the Thomas Jefferson, Lincoln and Franklin Delano Roosevelt Memorials as well as the World War II Memorial, the Korean War Veteran’s Memorial and the Vietnam Veteran’s Memorial. In this area, there are lots of places to walk, picnic and even get in a game of Frisbee. 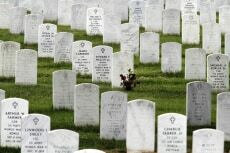 Arlington Cemetery is also pet-friendly, and there is a trail round the cemetery that is popular with local dog owners. Dogs need to be leashed at all times. Mount Vernon, the home of George Washington, situated near Alexandria in Virginia welcomes pets to visit the beautiful grounds of the estate. George Washington was a huge dog lover, and this national landmark was home to many pets during his tenure. However, for conservation purposes, pets are not allowed inside the mansion, museum or education center. Washington Crossing Historic Park in a suburb of Philadelphia is the site where George Washington and his army crossed the Delaware and marched on to Trenton, N.J., on Christmas night during the Revolutionary War in 1776. Four-legged tourists are welcome on the grounds of the park. However, only service dogs are allowed inside the historical buildings. Tourists and their pets are a commonly seen strolling down Duke of Gloucester Street, the main road through Colonial Williamsburg, the restored 18th century New World capital in Williamsburg, Va. They are allowed to play on the Palace Green, a large lawn area in front of the Governor's Palace. 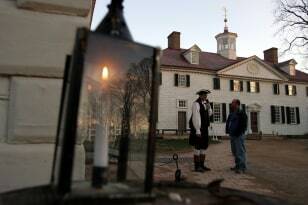 Although animals are not allowed in the buildings, costumed interpreters reenact colonial scenes and interact with guests on the streets and in open areas. Pets are allowed to sniff around certain areas of Gettysburg National Military Park, America’s most famous battlefield where President Lincoln gave his famous Gettysburg Address. 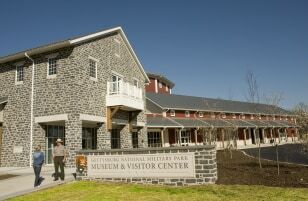 Park rangers give tours or you can take your own tour with the aid of an audio guide. Battle reenactments and campfire evenings are all part of the program offered throughout the year. It’s best to check exactly what events are pet-friendly with the park’s information office. Since 1929, more than 23 million visitors and thousands of dogs have walked across Royal Gorge Bridge, the world’s highest suspension bridge in Canon City, Colo. For the adventure traveler, there’s nowhere else in the world you can be suspended higher, soar longer or travel steeper than by riding the Royal Rush Skycoaster situated in the park. There are kennels at the entrance to the park where you can safely leave your pet while you “fly” 1,200 feet above the Arkansas River on this amazing ride. Kennels are free, but availability is on a first come, first-served basis. Buckskin Joe Frontier Town and Railway, the quaint “heritage tourism town” modeled after an original Colorado mining town outside Canon City, has appeared in many wild West classic movies and played host to visitors such as John Wayne and Lee Marvin. The town’s general manager, Greg Tabuteau, initiated the attraction’s pet-friendly reputation by bringing his own dog, a golden Retriever named Jasmine, to work with him every day. Visitors with pets are welcome to explore and are allowed to ride the railway with their dogs, too. Centennial Olympic Park was the home of the 1996 Summer Olympic Games held in Atlanta, Ga., and has remained a popular tourist destination and focal point of the city. There are lots of attractions incorporated into the 21-acre downtown area, and all kinds of events are scheduled throughout the year. The park is famous for its free outdoor concerts and music festivals. 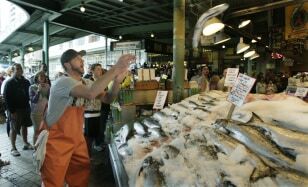 Seattle's Pike Place Market is a popular hangout for locals with their dogs. Dogs are welcome to browse the sidewalks with their owners, can visit stores by invitation and are free to hang with their people in the outdoor areas attached to numerous eateries. A huge draw card for dog owners is the Dog Alley boutique situated in the marketplace, an ideal destination to pick up a nice canine souvenir to take home. 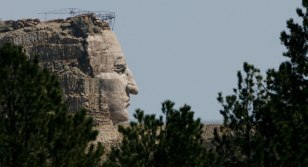 In June of 1948, sculptor Korczak Ziolkowski and Lakota Chief Henry Standing Bear officially started carving the Crazy Horse Memorial, the world’s largest mountain carving dedicated to the spirit of legendary Lakota leader Crazy Horse and his culture. The carving is still very much a work in progress. Situated between the towns of Hill City and Custer in the Black Hills of South Dakota, this popular tourist attraction has lots of different amenities and welcomes dogs. Fantastic Caverns in Springfield, Mo., is America’s only ride-though cave. John Knox and his dog founded it during the Civil War in 1882. Dogs are allowed on board the jeep-powered tram to tour the cave that’s filled with awe-inspiring stalactites and stalagmites. The cave has served as a speakeasy/casino during the prohibition era and as an auditorium for country singers like Buck Owens. In May of this year, the site of the infamous New York City Limelight Club on the corner of Sixth Avenue and 20th Street re-opened its doors at a trendy mall known as the Limelight Marketplace. Prior to being a popular music and entertainment venue, the building was the home of the Episcopal Church of the Holy Communion. Now this historic 163-year-old building in Manhattan’s Flatiron District is billed as a trendy shoppers' paradise, selling everything from clothing and jewelry to organic goods. The design, inspired by London’s famous Covent Garden, gives visitors the experience of browsing down an interesting old world shopping street. Dogs are most welcome to sniff around. Biltmore House is the largest privately owned home in the United States and was built in French Renaissance-style architecture by George Washington Vanderbilt II. The home is located near Asheville, N.C., and welcomes four-legged travel buddies to explore the 8,000 acres of landscaped gardens, hiking trails and mountain vistas that serve as the scenic backdrop to America’s most famous “castle.” The Vanderbilt family kept many dogs here, and thus this canine-friendly tradition has been kept alive by allowing leashed pets on the grounds. Arizona has about 275 ghost towns, the most famous undoubtedly being Tombstone, the lawless mining town founded in the 1800s and dubbed “the town too tough to die.” Situated outside Tucson, Tombstone became a true ghost town in 1929 and was later “revamped” to become a popular tourist attraction that draws many visitors year-round. Pets are welcome to nose around the history of the town’s many famous locations such as the site of the notorious gunfight at O.K. 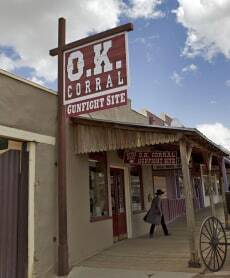 Corral. While fans of the late Swedish author Stieg Larsson are making pilgrimages to the numerous Stockholm landmarks cited in his bestselling trilogy, “The Girl with the Dragon Tattoo,” “The Girl who Played with Fire” and “The Girl who Kicked the Hornet’s Nest,” fans of best-selling romance author Debbie Macomber are visiting Port Orchard in Washington state, where this best-selling writer has based her fictional town of Cedar Cove. The 10th book in the series has just been published. Fans flock to Port Orchard year-round, and Macomber has even published a map to help them find their way around the town. Dogs, of course, are invited to join in the fun. 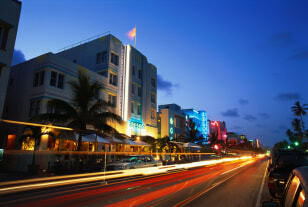 Lincoln Road in Miami’s trendy South Beach is a popular place to walk dogs and people watch. The movie “Marley and Me” was filmed here, and there are lots of celebrity pup sightings. Apart from the dog-friendly restaurants and stores, the area also has lots of pet-friendly art galleries including the renowned ArtCenter which is recognized as one of Miami's major cultural institutions. The ArtCenter comprises 52 artists' studios, exhibition galleries and art education classrooms.